True orange and true white. Exactly what I was looking for. This stylish decorative pillow features attractive knife edging with a comfortable polyester cover. 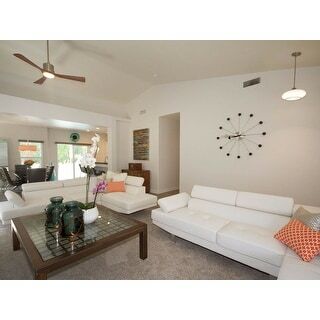 The elegant geometric pattern accents your décor with ease. Put these in my living room for a pop of color. Love them! I read this was indoor outdoor material. I'd say it's definitely outdoor canvas material. The orange is not as bright as I thought it would be from the product photos. Well constructed seams. Really puffy like they are full of air, not gooshy; probably the tight woven outdoor material. Great for outside. The pillow looks exactly like the picture, and the color was what I was looking for. The pillow is a little bit on the firm side and works as a side bolster or lumbar support. Looks good on my chairs and I'm happy with my purchase. Nice! 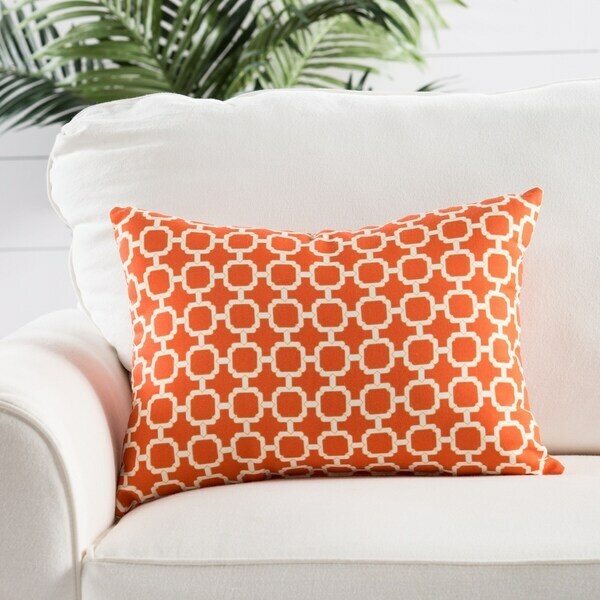 Love the tangerine color.Firm pillow. Great colors and nicely made. Great pillow. Well made. Matches decor well in living room. Great products and outstanding customer service! Very cute! True Orange and white. This pillow was exactly what I expected and looks great on our bed! Look great. Lots of stuffing for firmness, which makes it a good lumbar pillow.